Thank you for your interest in collecting items for Crossroads! We regularly work with schools, corporate groups, community groups and individuals who are eager to help people in need by running a collection drive or campaign. We’d love to hear from you too. 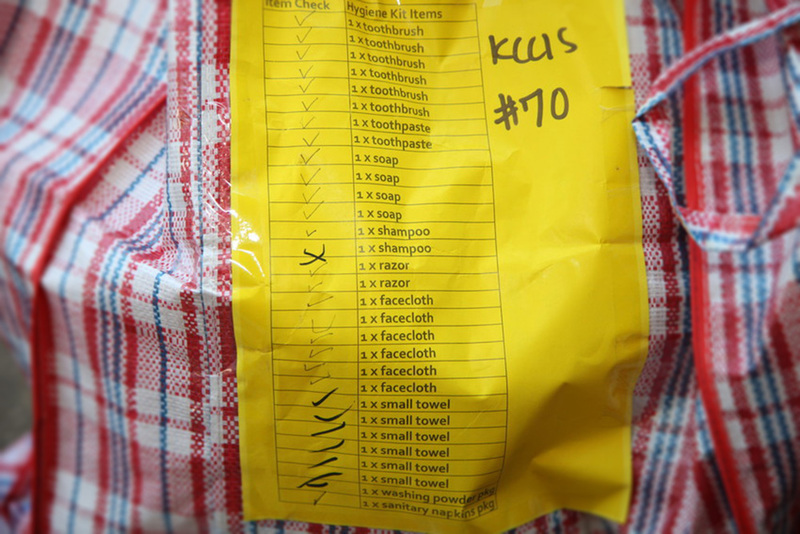 Every year, Crossroads sends out many shipments of goods to people who are suffering. We also distribute a large quantity of donated goods to people right here in Hong Kong who need help. Whether overseas or local, people in poverty often lack the most basic necessities, from daily needs such as cutlery and bed sheets, to things that an office or school needs to function, like stationery or computer equipment. Below is a list of things that Crossroads needs regularly for our shipments and local distributions. We appreciate collections of any of the items on this list, and would love to talk with you about your collection plan. Email communications@crossroads.org.hk for more information or to discuss collection ideas. Disaster response kits: See our disaster response kits page for full details. Writing tools: pens, pencils, sharpeners, erasers etc. Miscellaneous: staplers, scissors, hole punches etc.